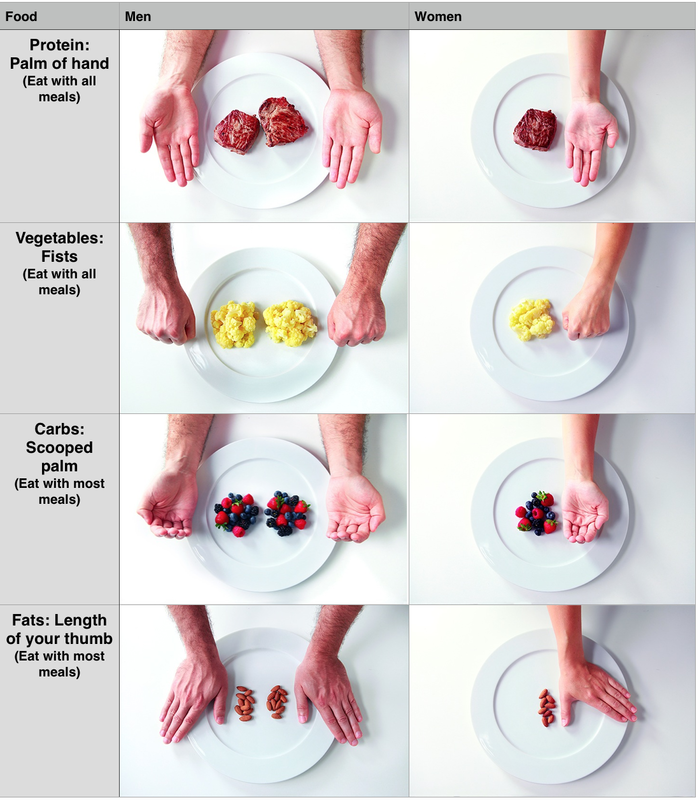 As a health coach I get asked about portion control AT LEAST two times per week. What does that mean? Most people have trouble in one of two areas: over eating or under eating. All this means is we no longer know how to consume the right amount of food. Restaurants like Bucca Di Beppo and Olive Garden give one person portion sizes that would feed a small army. (by the way, not dissing these food places, I LOVE Italian food too) This leads to over indulging in too many calories for our bodies to sustain. According to Dr. John Berardi, owner of Precision Nutrition, claimed the goal is to achieve calorie control without actually having to count calories. Counting calories turns food into a math equation…and WE ALL know how much we love math equations. For example: Counting calories turns food into words, turns words into math (this is where the mass of the sun comes in) math back into words, then words into food. Q: What do I do with the extra food?! A: I’m so glad you asked! Put it in a to go box for tomorrow’s lunch or dinner. Now you have two meals for the price of one! See, saved your body and your wallet! There you have it, the secret is out…or has it always been out and we are just so consumed with the hip new fads like waist training, Paleo, and no carb diets to remember the age old remedy of portion control and listening to your body? An outstanding share! I have just forwarded this onto a colleague who was doing a little research on this. And he actually bought me dinner simply because I found it for him… lol. So let me reword this…. Thank YOU for the meal!! But yeah, thanks for spending the time to talk about this issue here on your blog.